I love Chicago! I live in the best city in the world. 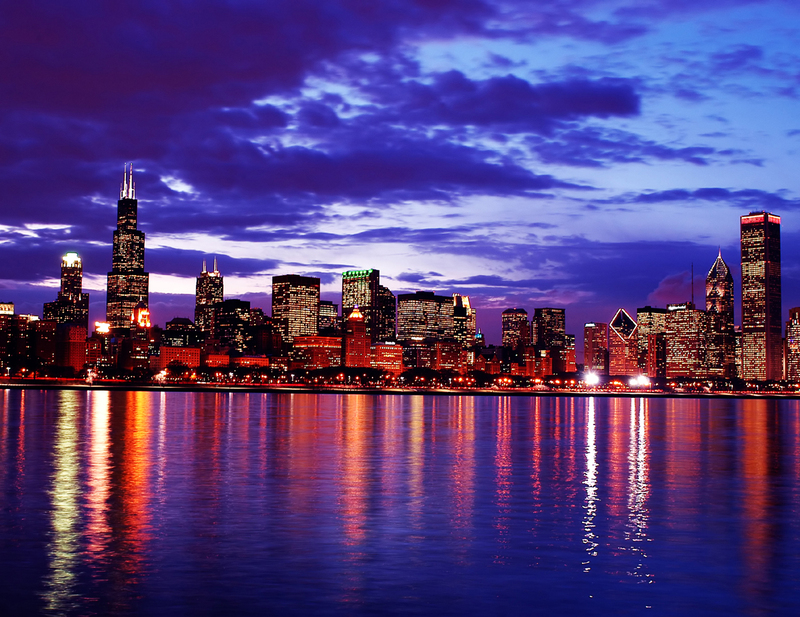 Every time I meet someone while traveling, and they find out I’m from Chicago, they Always say…”I love Chicago…it’s one of my favorite cities”. 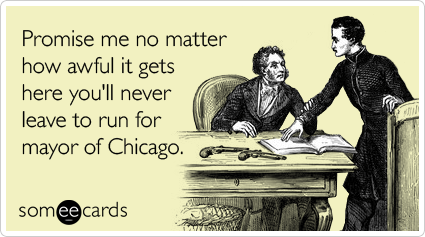 And if you live in Chicago, you know what I mean…Chicagoans have a strong sense of pride for our city. 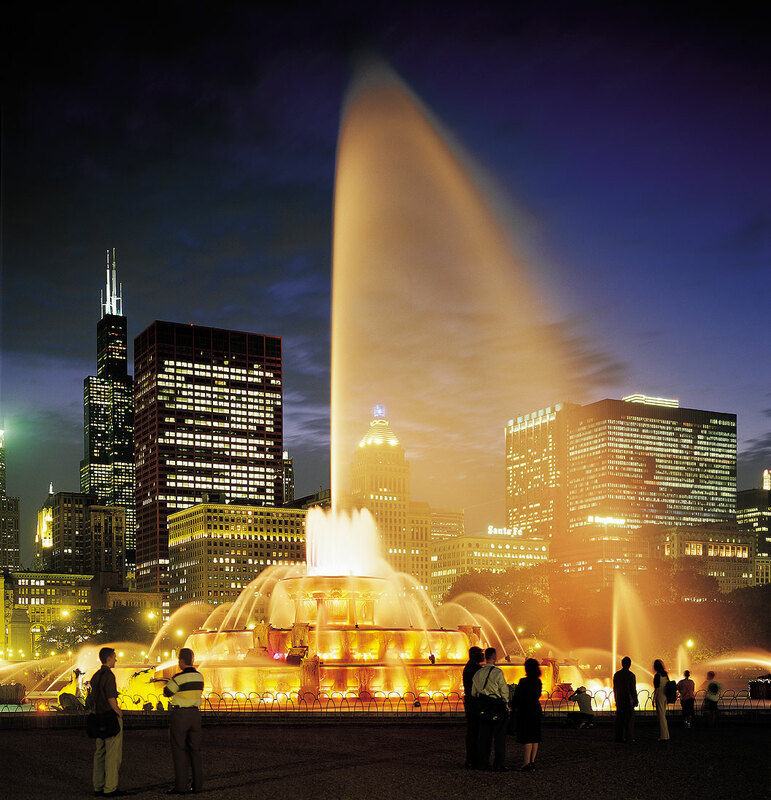 The Museums, Millenium Park, the Bean, Oprah, Michael Jordan, the beauty of the city, the Lake, you can’t beat it. Here are some of my favorite things about our fair city…and this list could go on and on, but I’ve limited it to my Top 10! 1. The skyline. Driving into the city, when it’s nighttime…and looking at the skyline, literally gives me goosebumps. The skyline, from the lake, will take your breath away. 3. Wrigley Field and the Cubs. The lovable losers. 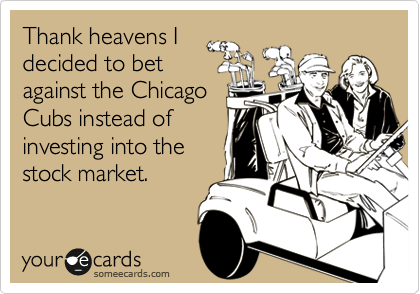 Plus, Chicago Bears; Black Hawks; Bulls (Derrick Rose, MVP! ), you name the sport, we got it! 4. 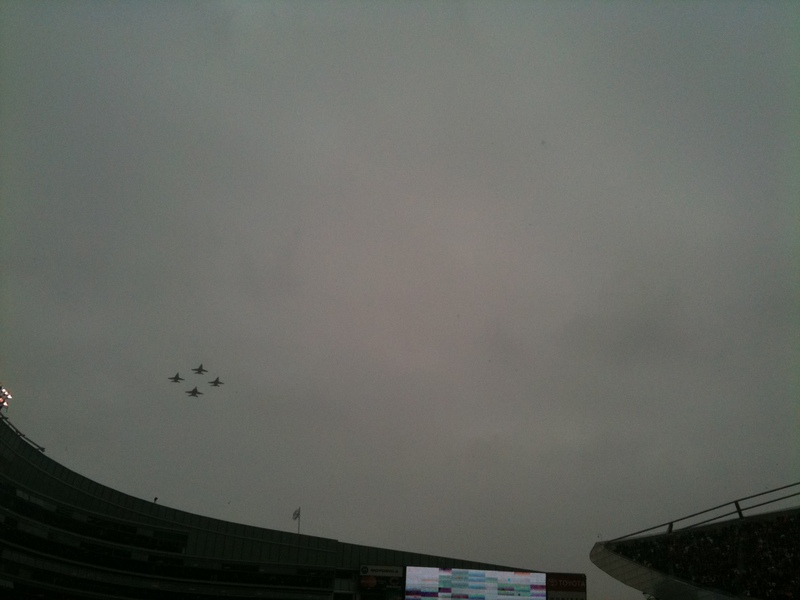 At Soldier Field when the F-16’s fly overhead at the start of a Bears Game. Again, goosebumps. 5. Hearing Jim Cornelison sing the national anthem at the start of a Blackhawk game…and the crowd goes Wild at the start of the song, throughout the entire song. 6. 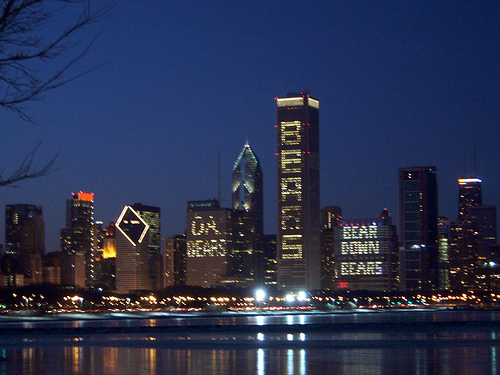 The Pride of the city, rallying around a cause or a team…be it the lights in downtown sporting the color of our team, or the color green for St. Patrick’s Day, or having the lights in a building spell out our favorite sport team! 7. 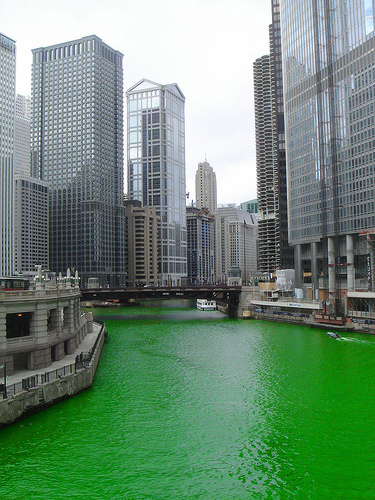 Dying the river Green for St. Patrick’s Day. I mean, how fabulous is that? 8. Shopping. Bar none, no one has it better than we do. Michigan Ave. is jam-packed, even in blustery winter days, or in 94 degrees in the summer. 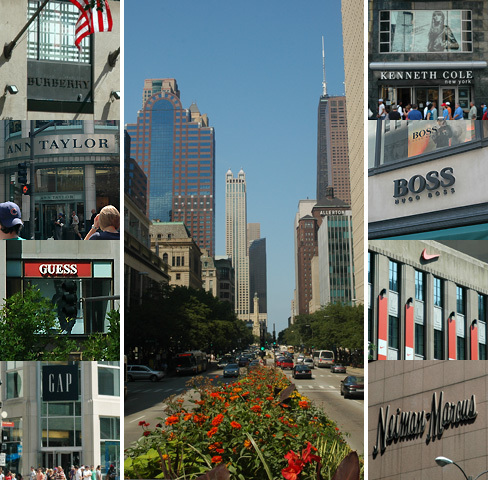 It’s not called the Magnificent Mile for nothing! 9. 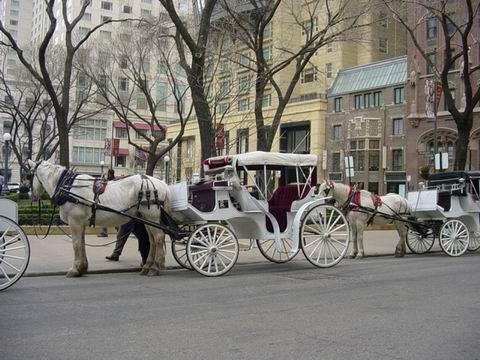 Carriage rides in downtown. My kids are mortified when we insist on them. But Kevin and I love them! 10. The Food. 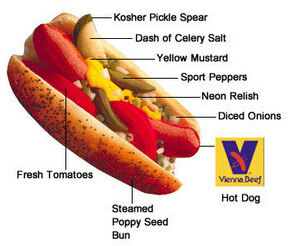 No article or blog on Chicago would be complete without talking about Food. Pizza (deep dish, which I do not care for, but I’m in the minority here), Hotdogs (with celery salt), Garrett’s Popcorn (and the lines out the door just to buy popcorn), Frango Mints, and world-class restaurants…Joes’ Stone Crab (I like it better than the one in Miami); Gibson’s; Hugo’s Frog Bar; N9NE; Bandera; Shaw’s Crab House; and any Lettuce Entertain You Restaurant! Of course this list could also go on and on. To Mayor Daley – you did a wonderful job, and brought the city to life, Well Done, you will be missed! (Thanks Rose for sharing this You Tube link). And to Oprah, sorry my only chance to see you didn’t pan out…and like Cinda, I have now lost my chance. Onward and upward! Next Dress your Age Survey…Seriously? Whenever I travel and tell people I am from Chicago they just say “have you been to see Oprah?” Of course I haven’t and now I totally have missed my chance! I will either need to do a Chicago…My Kind of Town, Part Deaux, or just keep updating this all day… I agree, I hear the same as well…and did not see her when scheduled, since her first taping went too long (Madonna), and I had another commitment, so had to leave, just as we were being seated in the studio. Happy Friday and I couldn’t agree with you more! Been to Oprah, sorry C you didn’t get there. You nailed it on the list, I’d add the gorgeous architecture and parks you can enjoy for FREE (Cultural Center across from Millenium Park is my favorite place to wander in and enjoy free exhibits and the gorgeous Tiffany dome ceiling). Gotta get down there soon! Loved, loved, loved this post! Thank you!! Amen T, we live in the best city in the world. Nice nod to Mayor Daley, he deserves it. He will be missed. The new guy has big shoes to fill, I hope he is up to the task. 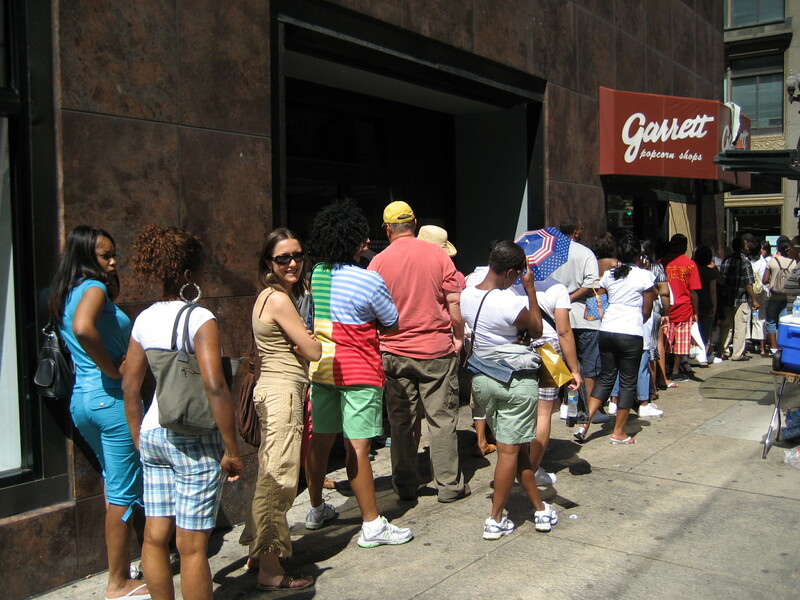 Lis – I think we will all miss Mayor Daley…but here’s hoping Rahm proves us all wrong! Easter Punnies...Baskets, Decor, Eats and Puns!